HyLoft ceiling storage units are great for the garage, basement, attic, closet, office or any other room in need of storage space. 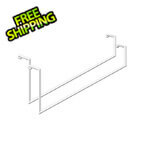 These patented units adjust to accommodate any ceiling joist configuration and can be mounted to sloped ceilings. 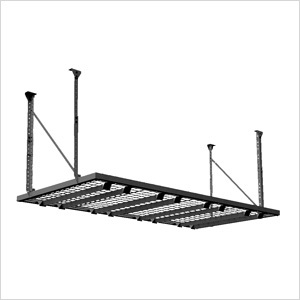 HyLoft ceiling storage units are ideal for storing holiday decorations, luggage, coolers, sporting goods and other large, bulky items since the downrods adjust in height.